Heroes & Villains Fan Fest arrives in Atlanta! This isn't your dad's comic con, it's your Fan Fest! Just don't meet your favorite heroes, become one! You'll meet the stars of your favorite shows but you also get to become the hero as you participate in interactive events that polish your superhero abilities! For event or ticket related questions, please visit - HVFF FAQ. If your question is not addressed, please email us at: info@fanfest.com and we will respond to your question within 48 hours. Tickets do not include any autographs or photo-ops unless stated otherwise on the ticket type. Please bring your printed confirmation with you to the event. Bring your confirmation with the QR code on it to registration and we will scan it and give you a wristband and/or badge depending on what you bought. Will call is open from 12-8 Friday and at 8 am Saturday and Sunday. 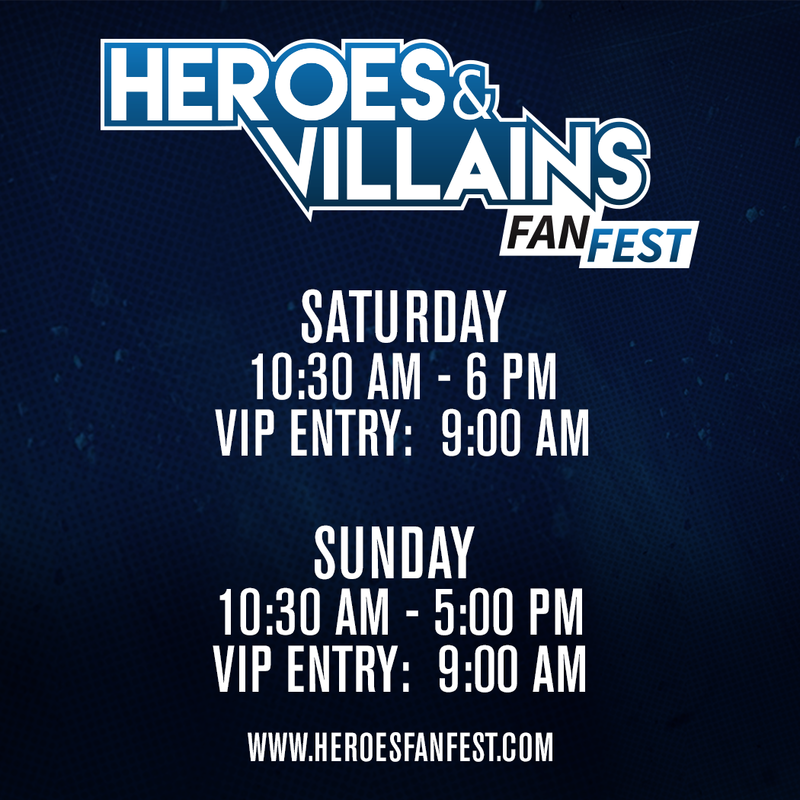 Heroes & Villains FanFest tickets are non-refundable and non-transferable. As well, tickets cannot be applied towards future Heroes & Villains FanFests. © 2019 ShowClix on behalf of Heroes & Villains Atlanta. All sales are final. Tickets are non-refundable.